Holder of a minimum Bachelor Degree in Public Administration / Management added advantage would be extensive experience in Project Administration, Monitoring and Evaluation, report writing skills for local and international audiences including funding agencies (e.g. World Bank, AU projects, EU projects), Education Management etc. Ensures confidentiality of information and assures access to information regarding students and staff responds to inquiries and requests for information requiring knowledge of departmental and Centre’s policies and procedures. Serves as internal resource to administrators or staff on departmental and Centre procedures. Holder of Form Four Secondary Education (O-Level) with passes in Kiswahili and English with a Trade Test Grade II/Drivers Grade II certificate from a recognised Institution. Must possess a valid commercial driving license at minumim with classes C and medically fit to drive and transport passengers. 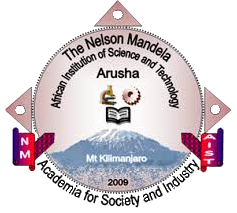 (e) Duty Station: Nelson Mandela African Institution of Science and Technology [NM-AIST], Arusha, Tanzania.